Monroe drivers, are your tires running thin? Then visit Middletown Honda, your Monroe-area Honda service team. You know our reputation as one of the leading dealerships carrying brand-new Honda vehicles, but we also are proud to offer the parts you need to keep your car running well and safe for years, and that includes tires. Whether you want a second set of tires—maybe you would like some extra tread for winter driving—or you know your current tires are reaching the end of their lifespan, we’re here to help. There are quite a few reasons why you may want or need to change your tires, but the main one our drivers tell us is that they’ve noticed their tires are balding. Basically, this means the treads are wearing down, and the part of the tire that connects with the road is looking too smooth. There’s a quick and easy way to tell if your tire treads aren’t deep enough: take a penny and insert the end with Abe’s head into your tread. If his head is visible, you should get new tires as soon as possible. Tread wear is not the only reason to get new tires, though. If you see that the sidewall of a tire has any nicks or cuts—or if it looks blistered—you should probably replace it, as it could lead to a blow out or flat. While we stock a range of different tires for different vehicles, if we don’t have what you need for your car, truck, or SUV, we’ll be happy to order them for you, including going over the benefits of having a second set of tires for when the weather gets rough. Our parts experts are here for you six days a week, from 7:30 a.m. to 7:00 p.m. Monday to Thursday, 7:30 a.m. to 6:00 p.m. on Friday, and from 7:30 a.m. to 4:00 p.m. on Saturday. 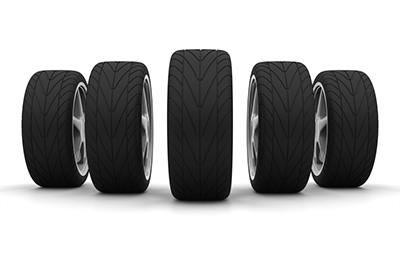 If you have any questions about what tires you need for your vehicle or want to place an order for a new set, contact Middletown Honda today. We’re just a short drive from Monroe at 520 Route 211East. To get to our dealership from Monroe, you can take US-6 West and NY-17 West (take exit 120 for NY-211).